Grew Up… in Tennessee with her mother, Susan, her father, Robby Ray, and her older brother, Jackson. Miley’s mother died when she was ten, but Miley still grew up in a warm and loving household, surrounded by her extended family. 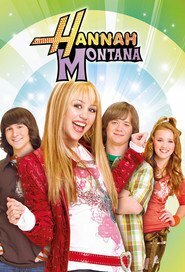 At the age of eight, Miley was given a guitar, and proved to be so good that she became a pop sensation by the age of twelve, performing under the name Hannah Montana. Living… in Malibu, California, with her father and brother. Miley keeps her stage persona a secret, and mostly lives a normal teenage life. She typically gets along with her father, although she can frequently be heard screaming “Jackson!” after her brother does something annoying. One can usually find her best friends Lily and Oliver at her house, too. Profession… student at Seaview High School by day, famous pop singer by night. Miley’s dad offered to homeschool her, but Miley wanted to have the normal teenager experience. That means she has to juggle late-night performances with early-morning pop quizzes. It’s not easy to keep her identities separate, and she does a lot of running around frantically, but she still seems to love both halves of her life. Relationship Status… single. 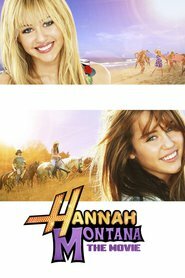 She has plenty of crushes on guys, but at the end of the day, Miley can’t date and keep up her secret Hannah identity. Challenge… keeping her secret. She has a team of people that she trusts with her identity, but others are always trying to figure her out, whether it’s snooping reporters or the annoying neighbor kid, Rico. Not to mention that she occasionally does things in one of her personas that negatively affects the other – like ignoring the guy she has a crush on, or hiding from her friends. It’s hard to be two people, but Miley tries her best to make it work. Personality… funny, optimistic, kind, and playful. Miley likes to play and joke around with her friends, but she can be serious when it counts. Although she often complains about living a double life, she understands that it’s worth it and tries her best to be responsible with her fame. When it comes to her friends and family, she’s fiercely loyal and when she’s betrayed by one of them, she really takes it to heart. Though she’s very sensitive and compassionate, she’s not afraid to say how she feels and stand up for herself. Miley Stewart's popularity ranking on CharacTour is #1794 out of 5,000+ characters. See our top-ranked characters and read their profiles.